FC Shakhtar acts as a partner in the joint project along with the Football Club Social Alliance (FCSA) and the UEFA Foundation for Children. We want to remind you that last October, they organised the first training module in Schaslyve. On March 20, the young coaches conducted practice sessions with children on the field of Blooming sports complex in Kramatorsk. 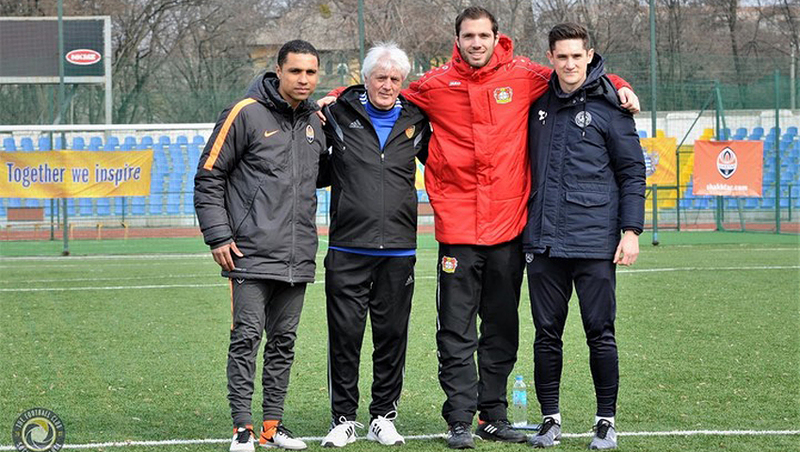 Representatives of Shakhtar; Basel, Switzerland; Bayer 04 Leverkusen, Germany and Queens Park Rangers, England help the beginner coaches to extend the knowledge gained at the first stage. - I’ve got an exceptionally positive impression. It’s always nice to see great interest from young Ukrainian coaches. Our key objective is that later they could pass the training process on to children. You do not need to be professional football players for that, the main thing is doing your job well. Even today I want to mention some positive aspects. The mentors do everything right gradually. And I insist on their further training and improvement. It’s important to understand this: you need to not just play with children, but to be their teacher for the sake of their social adaptation in society through football. Among the features of the second stage it’s worth noting the study of the specifics of training of children of different ages and detailed session planning (warm-up, main part and ending). This is what we focused on significantly during the practice. - The programme is aimed at improving young professionals, and my objective is to show them a set of exercises for children of different ages. Then I followed their work as an onlooker and recommended the points they need to pay attention to in order to make it more understandable and easier for the kids to perceive the classes, - says the Shakhtar Academy mentor and the project instructor Oscar Ratulutra. - There are a lot of volunteer coaches from the Come on, Let’s Play! project here, representing different cities. I'm sure they noted a lot for themselves. Thanks to the knowledge gained and their ideas, the beginner coaches will gain some experience, which is very useful. The ability to identify at the very beginning the skills and the level of their juniors, and then vary the training intensity is one of the focuses of the second coaching stage. At the same time, the global objective is still promoting grassroots football and introducing the children to a healthy and active lifestyle. - I really like football! The coaches have prepared some excellent games for us, - says an 11-year-old Nelya Dmitrieva, a student at Kramatorsk School No. 21. Today, we’ve managed to defeat the boys from my class and to score four goals. It's so interesting here that I’ve felt like a real football player. The third and final stage of the programme is planned to be held in May.